Shardul Thakur suffered a groin injury on the first morning of the second Test and walked out after bowling just 10 deliveries. Shardul Thakur made his debut for India against the Windies in the second Test at the Rajiv Gandhi International stadium in Hyderabad on Friday. 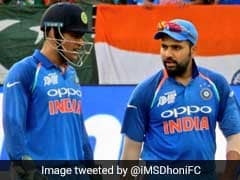 But the first game for the 26-year-old, didn't work out as planned as the bowler suffered a groin injury right at the start of the match. Thakur walked out of the park after just bowling 10 deliveries in the morning session. The Board of Control for Cricket in India (BCCI) later in the afternoon shared the details on Thakur's injury. "Shardul Thakur has gone for scans. He will not take the field today. An update on his participation for the rest of the Test will be taken after looking at the scans and after being assessed by the team management," ANI quoted BCCI as saying. The incident happened in the fourth over of the morning session. After bowling the fourth delivery of his second over, Thakur was seen struggling and was really uncomfortable at the middle. 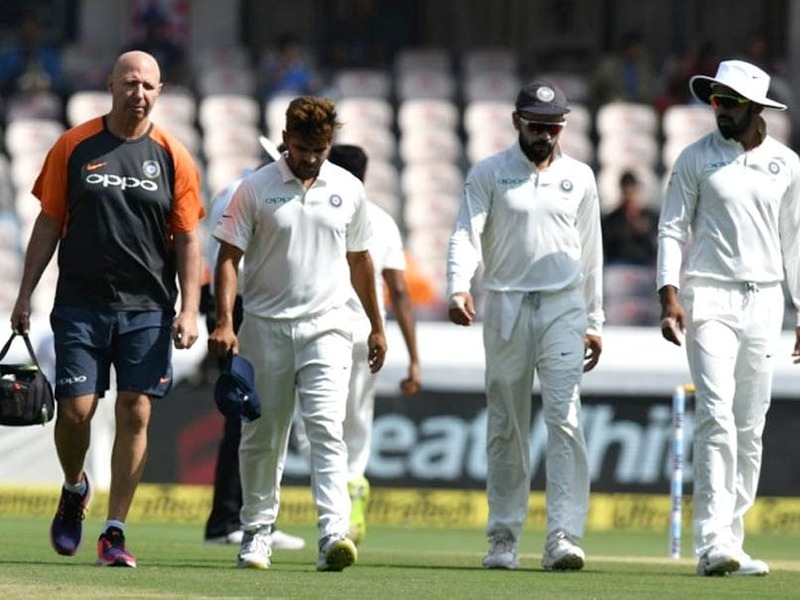 Team physio Patrick Farhart went out in the middle to look at the seriousness of the injury and moments later Thakur was seen taking the walk back towards the dressing room. Earlier, ahead of the start of the play on Day 1, Shardul Thakur received his Test cap from head coach Ravi Shastri. Thakur became the 294th player to represent India in Test cricket. 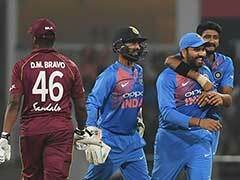 The Windies team, already trailing 0-1 in the 2-match Test series against India, ended Day 1 of the second Test with 295 runs on the board for the loss of seven wickets. Roston Chase (98) and Devendra Bishoo (2) were unbeaten when the umpires decided to call off the day's play.